Tadashi Shoji designs for the spirit of celebration. His formal dresses combine intricate artistry with an unparalleled fit. He employs dressmaking techniques customarily reserved for couture to create gala dresses. Detailed cutwork conceals darts and seams, producing an almost seamless feel. Dresses are fully lined with stretch jersey, which is darted and seamed to create the masterful fit for which Tadashi Shoji is known. His gowns are draped in lustrous fabrics such as crepe, jersey, silk chiffon. Silhouettes are decorated with embroidery formed from cord, hand-cut lace appliques, pintucking, and shimmering paillettes on tulle. 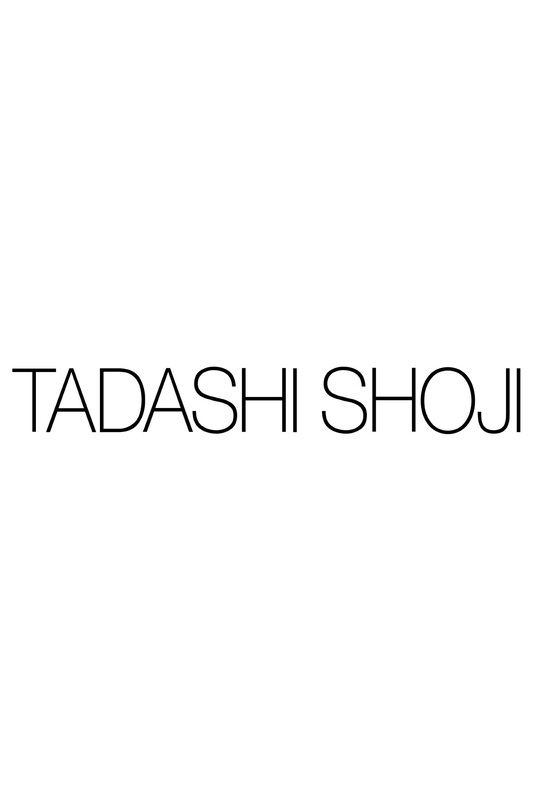 Tadashi Shoji is recognized for his red-carpet effortless elegance. He celebrates the feminine figure, accentuating curves while upholding a tasteful refinement. He sculpts fabric on the body. Each formal dress is a wearable work of art. Off-shoulder necklines, sheer illusions, and bold color combinations create sophisticated styles appropriate for black tie attire. TADASHISHOJI.COM offers both free shipping and complimentary hemming.